Medical Intuitive Wendy Marks has been called a “human MRI.” Join is as we talk about her rare and fascinating psychic gift as she explains how she sees inside the human body. Wendy Marks is a Medical Intuitive and Rehabilitation Counselor with 25 years of experience in traditional and complementary health therapies. She is a recognized expert in developing intuition for improved health and well-being. 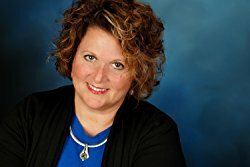 Ms. Wendy Marks provides Medical Intuitive sessions, Energy Healing and Integrative Therapy to individuals who are eager to improve their physical, mental and spiritual health. With considerable knowledge in both traditional medicine and non-traditional therapies, Ms. Marks is a sought after counselor, speaker and columnist.